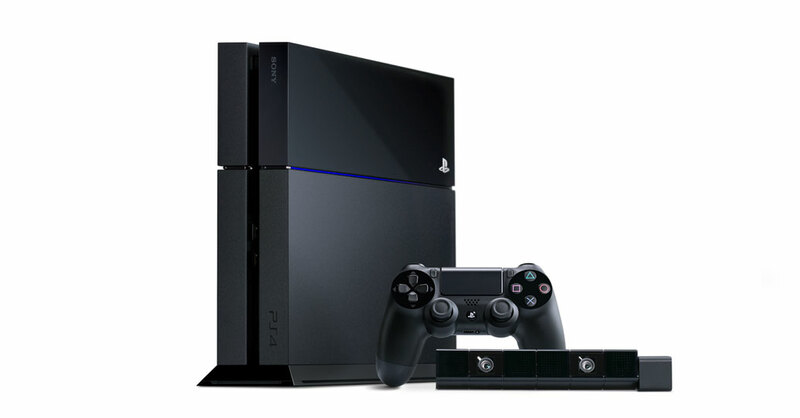 TabShowdown: PlayStation 4 vs Xbox One: Which Is Better? It's been eight years since a new generation of game consoles arose, and now we see the two companies that dominated the console industry during the last 8 years at it again. Sony's next-gen PlayStation 4 and Microsoft's Xbox One are both excellent consoles, each with their advantages and disadvantages. Despite the fact that the Xbox One initially received very negative reactions due to certain policies, among other things, many of these are no longer concerns since Microsoft addressed the issues. The Xbox One's is a big departure from its predecessor. While the Xbox 360 had a more curved structure, the One's much more...rectangular. In my opinion, the One looks very futuristic. Its all black design is very stylish, and the white Xbox logo contrasts nicely with the black body. The One doesn't appear to have any buttons on the front, and since the front now apparently only houses the slot for the Blu-ray/DVD player, it gives the console a very, very clean look. The included Kinect 2.0 sensor follows the same design language: and all-black design with a white Xbox logo on the right side. So does the controller, whose paintjob is also back, and the Xbox button, also white. The physical dimensions and ergonomics of the controller are very reminiscent of the Xbox 360's controller. The button setup is also the same. Basically, a beautiful, uniform, clean and futuristic design. While the Xbox One's design is an overhaul from its predecessors, Sony has somewhat kept the design language of the PS4 similar to its PS3 parent. I've even heard people joking that the PS4 looks like two PS3s (Slim version) sticked together. The PS4 maintains the stylish jet black paintjob that dates back to the PS2. The console follows a very rectangular look, but has a recess across the console's length (vertically) on the middle, making it somewhat reminiscent of a double-tower building. Another thinner line running across the console horizontally emanates a blueish light on one of the sides when the console is on. Very stylish! 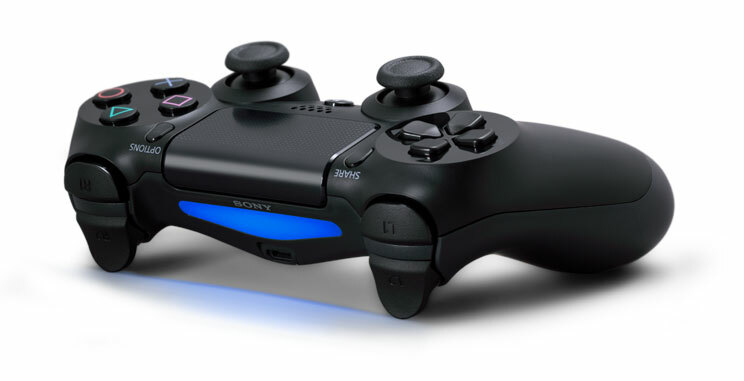 The DualShock 4 controller is ergonomically similar to its predecessors, and also presents a black design and the very same button configuration. The big changes here are a touchpad located at the top center of the controller and a six-axis gyro-sensor built into the console. I believe the touchpad won't be very useful, and it looks like it's a bit awkward to reach while holding the controller, but the gyro sensor could prove to be a very welcome addition. Since 2005 graphics processors have made astounding progress (Moore's Law, anyone? ), so the Xbox One obviously gets an equally large leap from its predecessor. Microsoft, as well as Sony, have decided not to use extremely powerful CPUs in their consoles' SoCs. The Xbox One is powered by eight AMD Jaguar x86-64 cores @ 1.6GHz. If you follow AMD's APU roadmap, you should be asking yourself "Wait, Jaguar? ", and that is because Jaguar is an APU aimed at being ultra-mobile and power efficient, the kind that ends up in tablets. So it suffices to say it doesn't offer a lot of performance, so why use it in a gaming console? Well, virtually no games require a lot of CPU performance, and the smaller cores also help drive the product's price down. But the CPU isn't that weak anyways. Think of it like this: its performance should be similar to an octa-core Cortex-A15. But still, it could limit developers' abilities to produce more complex AI. The GPU, unlike the CPU, is very powerful. It's a derivative from AMD's GCN architecture, and it features 768 unified shader cores, 48 Texture Mapping Units and 16 Render Output Units at a clock speed that originally was 800 MHz, but Microsoft has changed it to 853 MHz. At this clock rate, the GPU should give 1.31 TFLOPS of compute power. For comparison, this GPU should yield performance similar to a desktop GeForce GTX 650 Ti or a notebook GTX 765M. Microsoft did a rather unusual thing with the Xbox One's memory subsystem. Instead of simply throwing the fastest bus type/width (256-bit GDDR5 in this case), and frequency available for its time, Microsoft opted for a rather weak 256-bit wide DDR3 @ 2133 MHz memory controller. This results in 68.2 GB/s peak memory bandwidth, and that is really not much for today's standards. But, like I said, Microsoft did something unusual. They included a 32 MB large eSRAM memory into the SoC. In a properly optimized game, the eSRAM would unload tasks from the main memory controller, thus extending the effective memory bandwidth an extra (theoretical) 102 GB/s. So, despite having a much weaker memory subsystem than the PS4, the Xbox One will still offer similar memory bandwidth. Sony also has a very similar approach for its internals. The SoC that powers the PS4 is also based on eight AMD x86-64 Jaguar CPU cores clocked at 1.6 GHz. Sony also uses an AMD GCN-derived GPU to drive its graphics. While architecturally, the PS4's GPU is identical to the Xbox One's, the spec sheet clearly reveals that Sony's GPU solution packs more power, and that is because the PS4's GPU packs 1152 shader cores, 72 Texture Mapping Units and 32 Render Output Units. At its max 800 MHz clock rate, this GPU has 1.84 TFLOPS of peak compute power, and that is significantly more than the Xbox One's 1.31 TFLOPS. Also, the PS4 has a much more developer-friendly approach to delivering its peak memory bandwidth capability. Sony simply opted for a powerful 256-bit wide GDDR5 @ 5.5 GHz solution, resulting in 176 GB/s peak memory bandwidth. Basically, Sony's GPU architecture choice is exactly the same as the Xbox One's, but simply has more execution resources at its disposal, and the PS4's memory subsystem doesn't require code optimizations to be fully utilized, which isn't quite the case with the Xbox One. While the PS4 has significantly more GPU compute power than the Xbox One, the fact that both consoles use SoCs that are architectually almost identical means it is very easy for developers to port games from one platform to the other. Also, the fact that both consoles moved to an x86 CPU architecture means there's no chance of backwards compatibility with Xbox 360 and PS3 games, but it also means that porting a game to PCs won't be hard at all. This generation of game consoles isn't investing as much in hardware (there are many high-end PC GPUs that are much more powerful than the PS4's and the Xbox One's GPUs), but is emphasizing software a lot. Specifically, Microsoft and Sony tried hard to make their new consoles not only for video-games, but also for entertainment in general. The Xbox One, for instance, uses something Microsoft calls HDMI Pass-thru, which basically means you can connect your cable or satellite box to your Xbox One and watch TV on it. Microsoft made the Xbox One a sort of Dual OS machine. It contains the OS in which the games are run, and along with it a custom Windows OS, both running simultaneously. While the two OSes running simultaneously means there may be less CPU/Memory resources for games, it opens many doors for entertainment in these systems. For instance, the Xbox One allows you to video chat on Skype while you play a game. In this case, the screen will be split between the two applications (Much like in Windows 8), so that the bigger part of the screen is occupied by the game and a small portion of screen estate beside it will display the Skype app. The Kinect 2.0 sensor is also a nifty addition that comes included with the console. It's now considerably more precise than the 1st-gen Kinect, and Microsoft claims it's now able to detect even the slightest wrist movements. Sony is also trying to move the capabilities of the PS4 beyond just gaming. For instance, there's a Share button located on the PS4's controller which allows you to seamlessly record a video of some of your gameplay and then upload it to any social network, all this without interrupting your game. We can observe a clear path that each of the consoles are taking. The Xbox One is more focused in delivering much more than just gaming. It's trying to be your video game console, and well as your TV receiver and your social networking machine, and Microsoft's choice for a lighter GPU and memory subsystem reflect that. Sony, while making some effort to deliver entertainment beyond just gaming, is still investing a lot on its gaming capabilities, with their choice for a more powerful GPU and memory bandwidth. So ultimately, the choice of which console is better will depend on what you want from the console. If you want an entertainment center, and think that a console should do more than just running games, go with the Xbox One, but if you'll use your console mainly for just gaming, the PS4 appears to be the better option. There's the difference in pricing, too. While the Xbox One, which will be available in November 22, will sell for $499 (Kinect 2.0 included), the PS4 will be available as of November 15, for a more affordable $399.